Mine doesn’t look quite like the picture, I’m not sure if I read the pattern wrong or not, but at the end the pattern didn’t decrease like It should have, so the last row of single crochet, I did every other stitch, and then added another row of single crochet, skipping every other, about half way around (to fit my head) and then did every stitch and then joined. 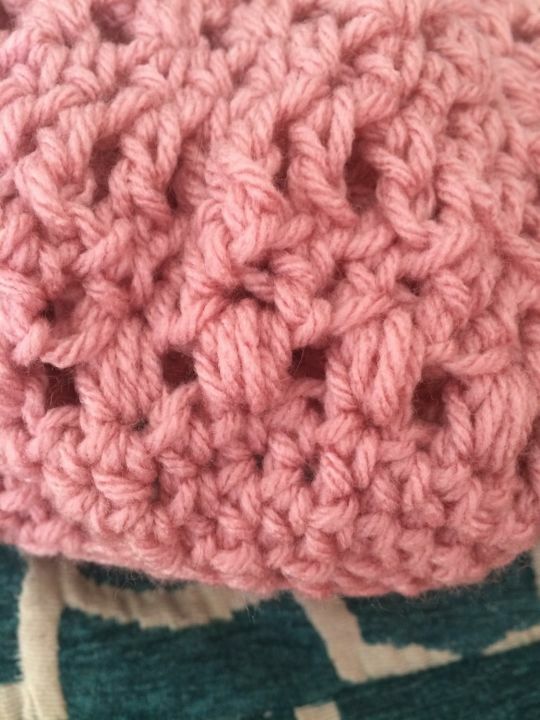 Also, this is my first time doing the puff stitch. and look at you — adapting patterns!! love the colour, by the way.